If you are short on cash and need an emergency loan to pay off a bill, you are likely to need an online payday loan. 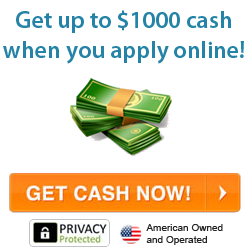 Online payday loans are generally for someone who has low credit and is living paycheck to paycheck. Then an emergency comes up, their kid is sick or their car needs emergency repairs, or a bill comes up and it cannot wait until payday to get paid. So, why on earth would someone need to worry about taking out an online payday loan? These online loans are too readily available for quick cash. All a person needs is proof of employment, usually a few paycheck stubs, your boss's phone number, and two forms of identification. That's it. Normally your credit score doesn't even come into play. The money is made available to you usually in 24 hours or less and is deposited directly into your checking account. Sounds easy right? Online payday loans usually come with enormous fees and potentially dangerous risks. Here is what you can look for to keep yourself safe and your identity in the clear. The biggest danger is you. If you loose your job before payday, or your paycheck is not large enough to cover the "up to 60% fees" you could be owing money to the online payday loan creditor AND your banking institution. Associated fees, percentage rates, and payback percentages are big money making business for these companies. How do you think they can afford to take such a risk? Of course, the payout has to be great for them to take it. Other dangers may be hidden fees not covered by your next pay day or initially only covered in the fine print you might not have read. Even more surprising is if your check is a day late and the creditor takes the money out of your now empty banking account. You wind up paying both institutions and up to double the original payback amount. Other dangers aside from hidden fees could be identity theft, if the online pay day loan company is not FDIC (www.fdic.gov) insured and backed by a national institution. The simple fact that they have access to your bank account to withdraw funds is heart pounding scary enough in today's insecure world. Simple clerical errors are made everyday; they could accidentally take the money from your bank on the wrong day or for the wrong amount and this might not be in your favor. You could wind up with a huge mess on your hands and in your wallet. You need to do a little research about your chosen online payday lender well in advance of the emergency. And you need to make sure that this is in fact, a real desperate emergency. Making online payday loans a habit can lead to larger and larger fees each time and destroy your credit entirely. They are not a quick fix, not a long term solution to a money shortage, and they can quickly leave you completely shortchanged and even more desperate than before. As stated before, research lenders well in advance of your need and have one or two in mind before the crises hits. Make sure this is a real emergency and not something that can be postponed by a quick phone call or a couple days wait. Next look into the bank backing your lender, read the fine print and all updated material before signing anything. Make sure that the chosen lender is who they say they are and not a fly-by-night-company or a look-a-like fraud. If possible, ask around for other people's opinions from among your friends or co-workers.